Signed "O'Brien's See-Der_Rabbits Malt Products," this advertising printer's plate for malted milk mix dates from around 1920. 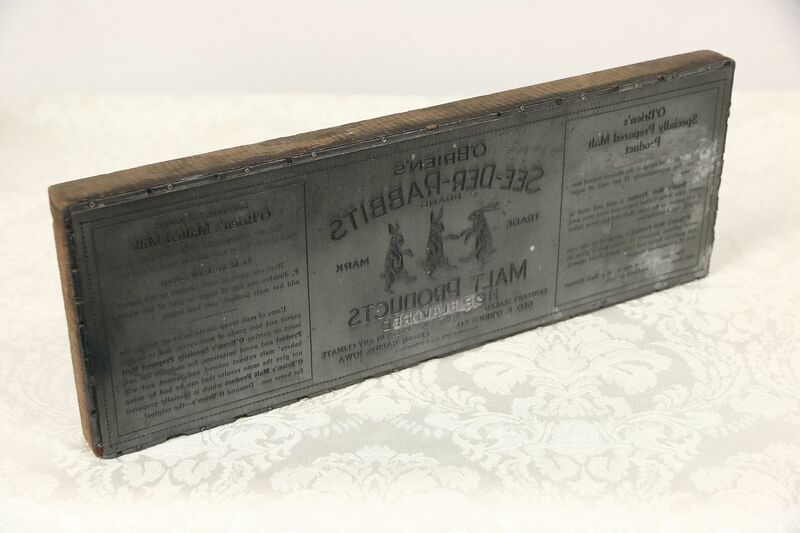 Furnished by the O'Brien Company in Cedar Rapids, Iowa, this lead and wood printing plate was used in local newspapers to print advertisements. Size is 14" long, 5" wide and 1" deep.